Well, like it or not the dust has barely settled from the November midterms and the 2020 presidential race is already underway. Campaigns are being launched, names are being floated, “Gosh look what an ordinary person I am!” videos are being live streamed from politicians’ kitchens, and we are already seeing many of the same toxic patterns from 2016 resurfacing from many of the same toxic people. NBC News has published an op-ed by Republican political strategist-turned Clinton advisor and Dem strategist David Brock titled “Bernie Sanders’ fans can’t be allowed to poison another Democratic primary with personal attacks — Bashing Beto O’Rourke (and every other Democrat) doesn’t help liberals’ cause in 2020. It only helps Trump.” The article explicitly blames Hillary Clinton’s loss to Donald Trump on supporters of Bernie Sanders who criticized her during the primary, and makes it clear that such criticisms must be forcefully and aggressively fought against this time around. Citing no evidence, Brock goes on to accuse journalists and social media users of staging a “coordinated effort” to “attack” Beto O’Rourke and other presidential hopefuls, as though coordination would be necessary for criticisms and questions to emerge about the voting records and campaign donations of public officials seeking the highest political office on the planet. The implication, of course, is that no criticisms of any kind should be leveled at Democratic presidential primary contestants, leaving narrative-shaping authority solely in the hands of the plutocratic media and beltway manipulators like David Brock. In 2016, I ran a pro-Hillary SuperPAC which attempted to defend the candidate against false attacks, many of which came from or originated to her left. Though they were hardly in charge of our messaging, it was made very clear to us by our allies at her campaign headquarters that any efforts on our part to push back against the left-wing anti-Clinton brigades were unwelcome assistance; they feared alienating Sanders’ voters. That head-in-the-sand posture was ultimately self-defeating. Today, Democrats are rightly laser-focused on picking a winner in 2020, and the stakes are just too high to let bad faith actors — whose real aim is to smear Democrats as no different than Republicans — stage inter-party schisms. If Sanders decides to run again this time, he should focus on policy and eschew character attacks on Democrats — and admonish his supporters to do the same. Otherwise, they put the core values we all share at risk, yet again. It is unclear what “character attacks” Brock is claiming Sanders made; the entirety of criticisms leveled by Sanders and the overwhelming majority of his supporters were directed at the policy decisions Clinton made in her political career and the shady places she took money from. What is clear is that the pro-Hillary SuperPAC he is referring to was the infamous “Correct the Record” troll operation, which employed literal shills to deceitfully pose as grassroots Hillary supporters online whose job was to attack anyone who criticized her. This despicable tactic was incalculably disruptive to online political discourse in 2016, and Brock clearly wants to implement a far more aggressive version of his operation in the 2020 primaries. 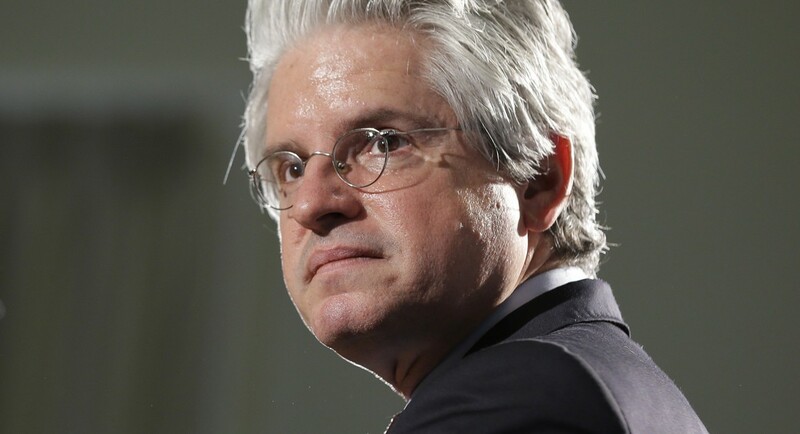 “Let’s be clear about what’s going on here: this is a deliberate Dem Party effort to try to intimidate journalists and advocacy groups into not reporting on voting records and campaign donations,” tweeted progressive investigative journalist David Sirota in response to Brock’s article, adding, “Wanna know why I rejected working for this guy? That’s why.” Sirota had agreed to work with Brock on a new outlet billed as “The left’s answer to Breitbart” in early 2017, but later backed out of the project. Brock’s liberal Breitbart never materialized. If you want a quality illustration of what a manipulative sociopath David Brock is, contrast his obnoxious, dishonest accusatory screed with his open letter to Sanders at the beginning of 2017 titled “Dear Senator Sanders: I’m with You in the Fight Ahead”. Brock apologized for his harsh attacks on Sanders, gushed about the way Bernie “electrified millions” with his campaign and pledged to work with him to harness that energy against Trump. Brock wanted something from Sanders (control of his base in this case), so he smothered him in flattery; now people are criticizing Beto “Like Obama, only white” O’Rourke, and all of a sudden Sanders is back to being a red commie menace whose “character attacks” are to blame for Hillary Clinton’s loss. Brock has no relationship with truth beyond his ability to twist it to get things he wants. Hillary Clinton is to blame for Hillary Clinton’s loss, actually, as well as the strategists like David Brock who were behind her spectacular failure to defeat a historically unpopular reality TV star Republican. Establishment Democrats are trying to sell the narrative that “You progressives disobeyed us in 2016 and what happened was your fault; you will obey us this time,” while progressives are saying “No, you ignored us in 2016 and what happened was your fault; you will listen to us this time.” The early 2020 presidential race is repeating the same battle of official narrative manufactured by corporate elites versus the organic zeitgeist — the way ordinary people are feeling inside as a result of the conditions their government has put them in. I’m not sure how much coverage I’ll be giving to the US presidential election this time around, but it will be interesting to see how this dynamic plays out. The best way to get around the internet censors and make sure you see the stuff I publish is to subscribe to the mailing list for my website, which will get you an email notification for everything I publish. My articles are entirely reader-supported, so if you enjoyed this piece please consider sharing it around, liking me on Facebook, following my antics on Twitter, throwing some money into my hat on Patreon or Paypal, purchasing some of my sweet new merchandise, buying my new book Rogue Nation: Psychonautical Adventures With Caitlin Johnstone, or my previous book Woke: A Field Guide for Utopia Preppers. Rogue journalist. Bogan socialist. Anarcho-psychonaut. Guerrilla poet. Utopia prepper.